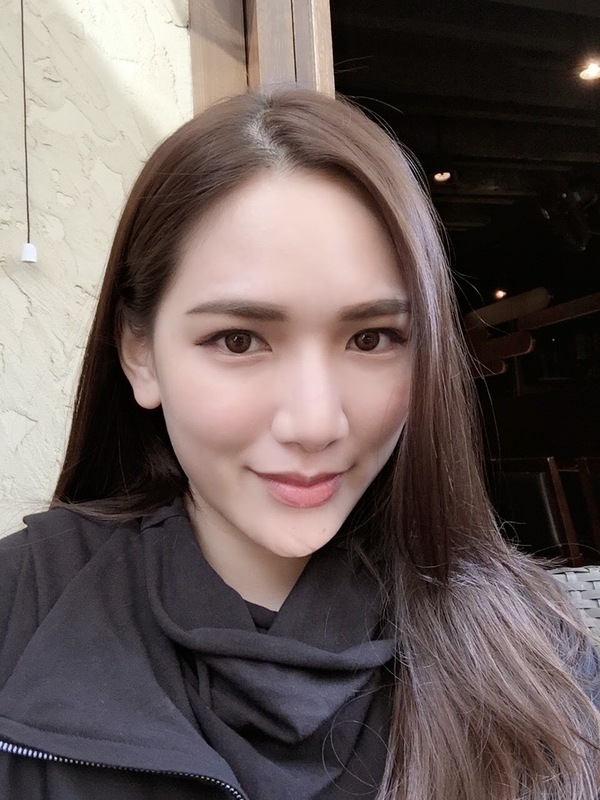 I've been blogging a lot about skin care these past few years and I always believe that keeping good skin is more important than putting on make up. I am the kind of person who will invest in skin care products, even my cosmetics are skin-care based. Anyway, a lot of people have been asking about my skin care routine on my previous make up tutorial so I decided to do a really quick one. To be honest, my skin care routine is really really simple, the only fancy thing is this cleansing brush from Clinique. The Clinique Sonic System Purifying Cleansing Brush is gentle yet reacts greatly to the skin. It doesn’t cause wrinkles and my skin feels smooth to the touch after every usage. You can watch my vlog below to see how gentle it is. I didn't know about the rave surrounding this cleansing brush until I got my hands on it. This really made me feel like I've wasted my life hand washing for nothing. I mean hand washing is more like cleansing the surface but there are areas on our face that our hands couldn't reach. This Clinique Sonic System Purifying Cleansing Brush does the magic. I can see my skin literally glows and brightens almost immediately after I have washed my face with the cleansing brush. I'm not exaggerating but I'm really amazed by how it works! I noticed one of the biggest difference after using this brush is that I have reduced the need for painful extraction because my face is cleansed thoroughly. It is recommended that you start off with just 30 seconds once a day and then prepare your skin to be able to use the product twice a day - like how I am using it. Sleek design, just fits perfectly on the palms. Comes with a cap to cover the brush. I really love that this cleansing brush has two coloured bristles which target different areas of the face. The white bristles are effective in helping me cleanse my cheeks area. It’s gentle and perfect for sweeping away dulling flakes on my skin. This is as thorough as it gets! The green bristles on the other hand is angled to specifically target hard-to-reach areas like the inner corners of my nose which can be quite difficult to cleanse thoroughly with my bare hands. But with the help of the green bristles, I’m able to cleanse all these nooks and crannies of my face effectively. One charge can lasts up to 72hours! If in your normal skin care routine you didn't do your cleansing right, you're actually wasting your other skincare products. When your face is thoroughly cleansed, it can then absorb the rest of the skin care products better. 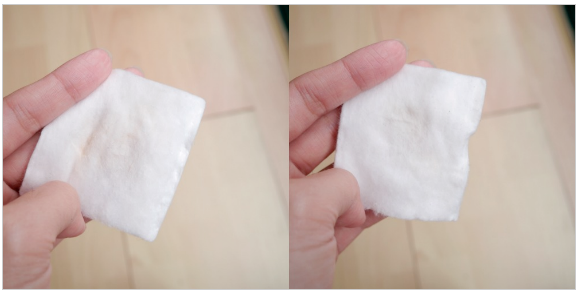 I’ve also noticed there are fewer residues after washing my face, especially when I try wiping off dirt with my toner after cleansing. Left: Cleansing my face without the Cleansing Brush. Right: Cleansing with the Clinique Sonic Brush. Dirt residues are less noticeable after face cleansing. Btw, you don't even need to scrub weekly with this gentle daily exfoliation. Saves you all the time and hassle! Frankly, it's a really great product & worth investing in as it comes with a 2 years limited warranty. The unit consists of the Cleansing Brush retailing at RM350 (USB variant) while the brush head is at RM93 per unit. I'm definitely gonna buy it for my mom as an early Xmas pressie. Afterall, great things are meant to be shared, right? That being said, I’ll be having a Meet and Greet session in collaboration with Clinique on 13th Dec 2014 and only 5 lucky winners along with a friend will be chosen to attend and win exclusive Clinique door gifts. Just answer this question: The Clinique Sonic System Purifying Cleansing Brush comes with two coloured bristles, namely…. The Clinique Sonic System Purifying Cleansing Brush comes with two colored bristles, namely the green and white bristles targeting different areas of the face. The green bristles is designed to target the hard-to-reach areas on the face, for example the inner corners of the nose, it's easier to cleanse the nooks and crannies of the face by using this cleansing brush. On the other hand, the white bristles are effective in cleansing the cheek areas. It’s gentle and perfect for sweeping away the dulling flakes on the skin. It effectively cleanse off the dirt and there's less or no residue left on the skin after using this brush than using bare hands. Green and white bristles !!! Answer: white bristles and green bristles. The Clinique Sonic System Purifying Cleansing Brish comes with two coloured bristles, namely white and green. The Clinique sonic system purifying cleansing brush comes with two colored bristles, namely white bristles and green bristles. White bristles are very effective in helping cleanse cheeks area. It's gentle and perfect for sweeping away dulling flakes on the skin. The green bristles is angled to specifically target hard-to-reach areas like the inner corners of the nose which is quite difficult to cleanse thoroughly with bare hands. It also able to cleanse all nooks and crannies effectively. The Clinique Sonic System Purifying Cleansing Brush comes with two colored bristles which target different areas of the face. The white bristles are effective in helping to cleanse the cheeks area where the green bristles on the other hand is angled to specifically target hard-to-reach areas like the inner corners of the nose which can be quite difficult to cleanse thoroughly with just bare hands. Hi Jane! The Clinique Sonic System Purifying Cleansing Brush comes with two coloured bristles, namely white and green bristles. The white bristles are effective in cleanse cheeks area and brighten up skin tone! The green bristles are effective on cleaning those nooks and crannies which hard to clean by bare hand. The Clinique Sonic System Purifying Cleansing Brush comes with two coloured bristles, namely white bristles and green bristles. White bristles and green bristles ! White bristles and green bristles. 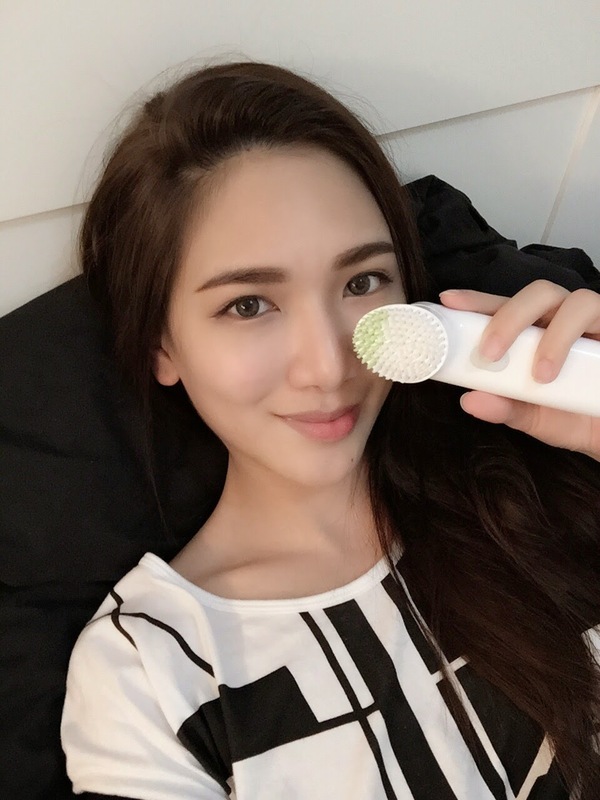 The two colours bristles of The Clinique System Purifying Cleansing Brush are white and green color. white bristles-gentle sweeping away dulling flakes on skin. green bristles- is to specifically target hard-to-reach areas like the inner corners of nose which can be quite difficult to cleanse thoroughly with bare hands. I hope I am one of the lucky winner!! Because I am still a student and no money to buy that :( hahaah..
White and green bristles! The white bristles are effective in cleansing cheeks area while green bristles are angled to specifically target hard-to-reach areas. The Clinique Sonic System Purifying Cleansing Brush comes with two coloured bristles which are green bristles and white bristles. The green bristles are angled to specifically target hard-to-reach areas whereas the white bristles are designed gently to cleanse dulling flakes. Green bristles and White bristles! Green n white bristles ! The Clinique Sonic System Purifying Cleansing Brush comes with two coloured bristles, namely green bristle and white bristle. The white bristles are effective in helping cleanse cheeks area. It’s gentle and perfect for sweeping away dulling flakes on skin. The green bristles on the other hand is angled to specifically target hard-to-reach areas like the inner corners of nose which can be quite difficult to cleanse thoroughly with bare hands.